Today we closed on a new house. I refer to it as Michelle's house because I have reached the point in my life where all the obligations and nuisances of home ownership far outweigh the benefits. I don't need a house; I don't want a house. 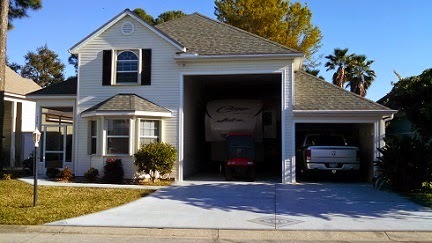 A house is the classic example of the statement "You don't own your stuff, your stuff owns you". I'll stop there. 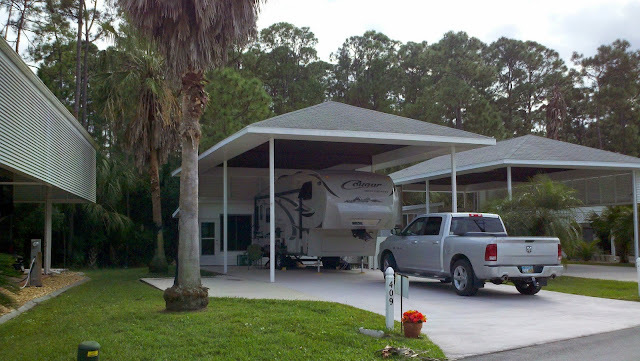 So she picked the house on her own – and did a fine job. 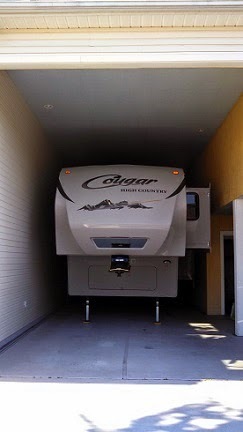 We are now homeowners in The Great Outdoors RV, Golf, and Nature Resort. That takes some explaining. In reverse order. Nature. We are very conscious of nature here. While we spray for insects and weeds and bulldoze away habitat for more houses, we dutifully stop our cars on the streets to let turtles cross. Golf. I'm not a golfer but I am not anti-golf. 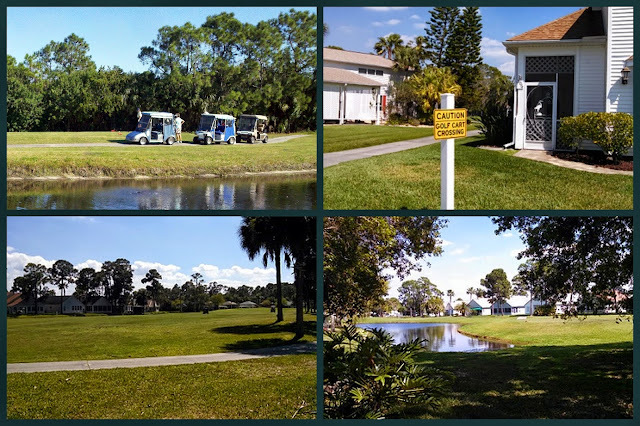 The golf course winds its way among the houses and contributes greatly to the ambiance of the place. This past year the community purchased the golf course from the private owner. That was a wise move for the benefit of the community – golfers and non-golfers alike. RV. In terms of housing, that really takes some explaining. 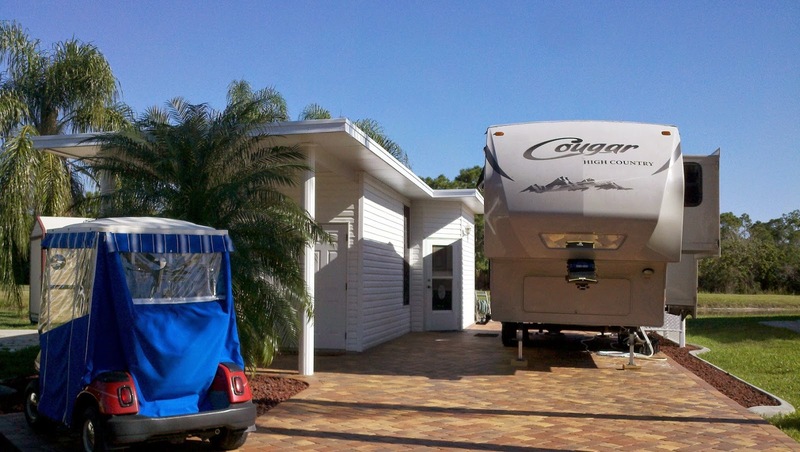 Every property here must be able to house an RV. That has created quite a diversity. In one sentence, that requirement is met by pads (with or without buildings), ports (with or without buildings), park models, houses. We have every conceivable configuration of each. 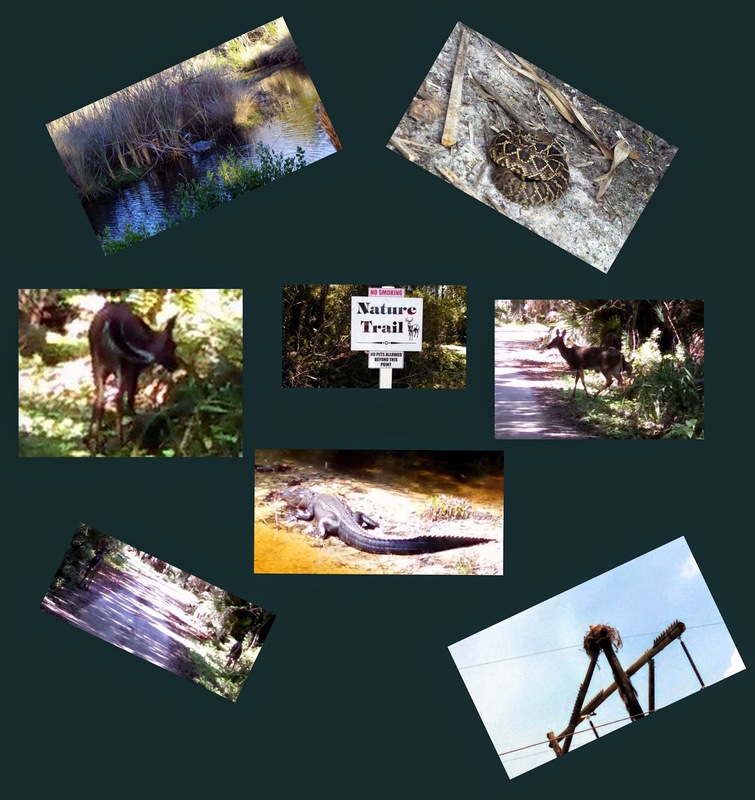 Sometime ago I did a blog post on TGO Property, so I won't repeat myself here. 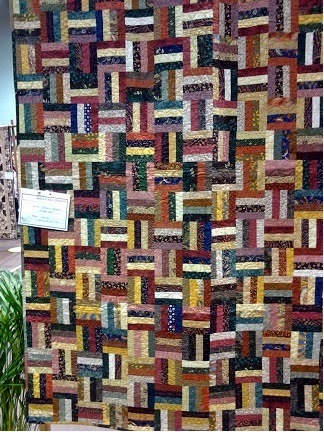 Space Coast Quilters, the quilt club in Titusville, held their annual quilt show this weekend. 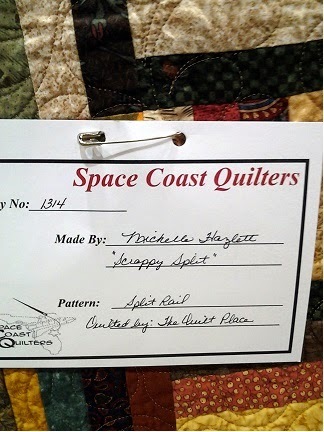 Michelle along with several other quilters from our RV park are active in this club. So they were all occupied full time hosting and participating in the show. 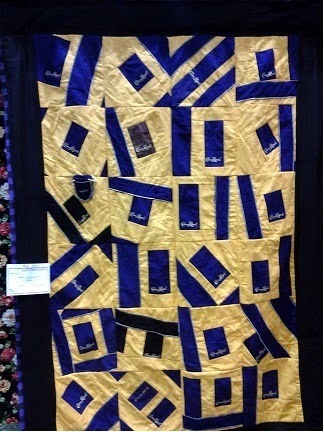 There were 230 quilts entered in the show; Michelle entered three. 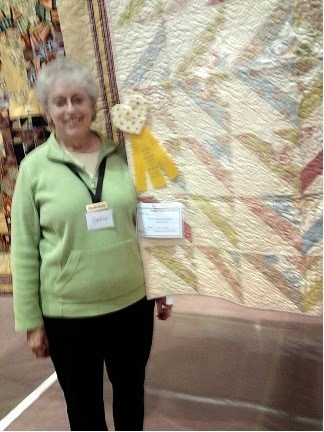 Her quilt Scrappy Split won 3rd place in the 'Medium Size Quilts' division. 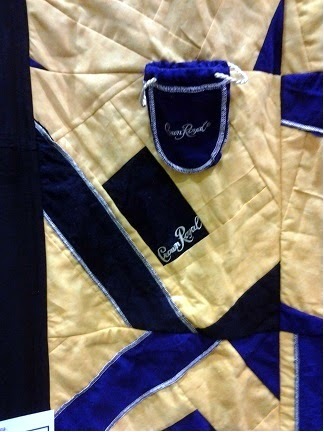 Here is an interesting quilt made from the container bags for Crown Royal Canadian Whiskey. Crown Royal, a blended Canadian whisky, is the top-selling Canadian whisky in the United States. The reigning monarch King George VI, and his wife, Queen Elizabeth, visited Canada in 1939. Crown Royal was introduced that year by Samuel Bronfman, President of Seagram as a tribute to the royal visit. It was available only in Canada until 1964. I wonder who got to drink all that good whiskey? I'm pretty sure it wasn't the quilters ... although I don't know what really happens when those ladies get together in private. Sometimes their corners don't match ... hmmmmm. 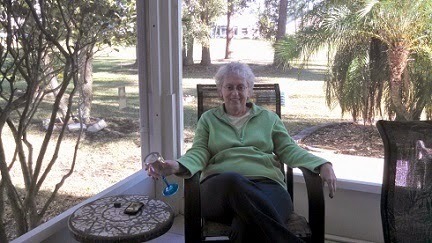 Michelle is glad to be back in our winter home and back to her favorite pastime. She is happiest with her quilting buddies. That's a good thing.